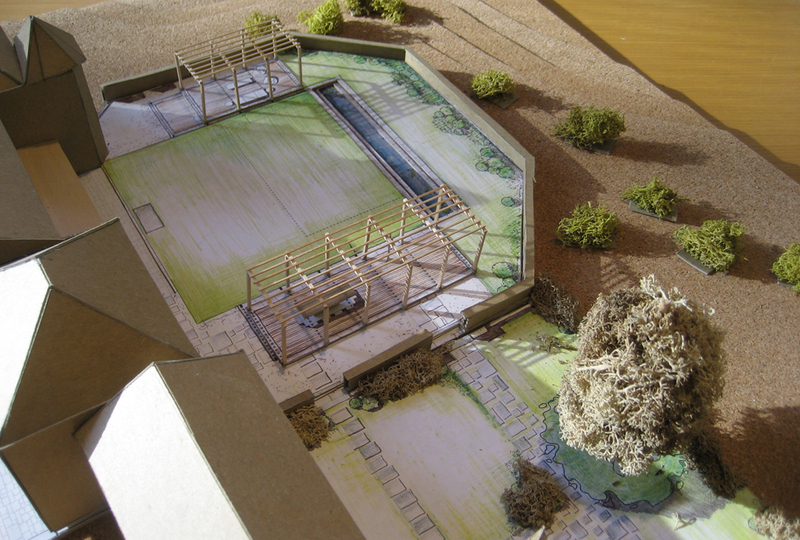 The design for a new gardens, formal lawn, reflecting pool, and pergola structure provide opportunities for both quiet reflection and large family gatherings. 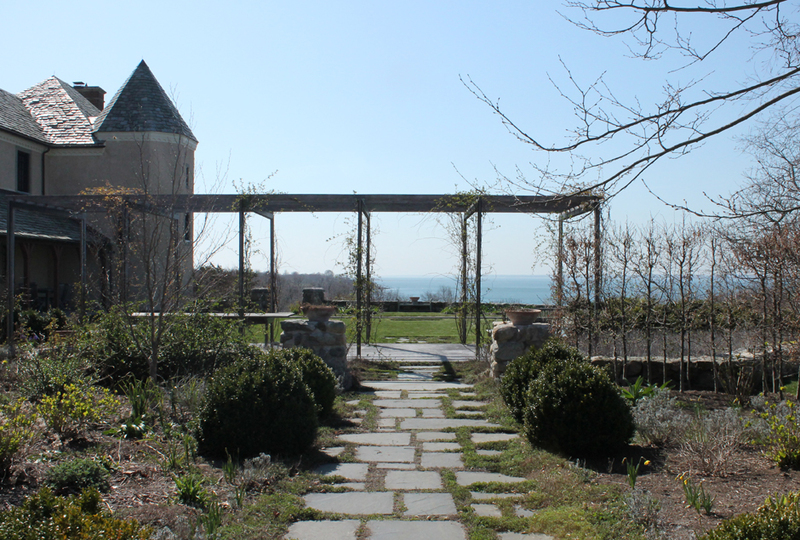 Working closely with a local garden shop we selected the plants and designed the formal gardens. 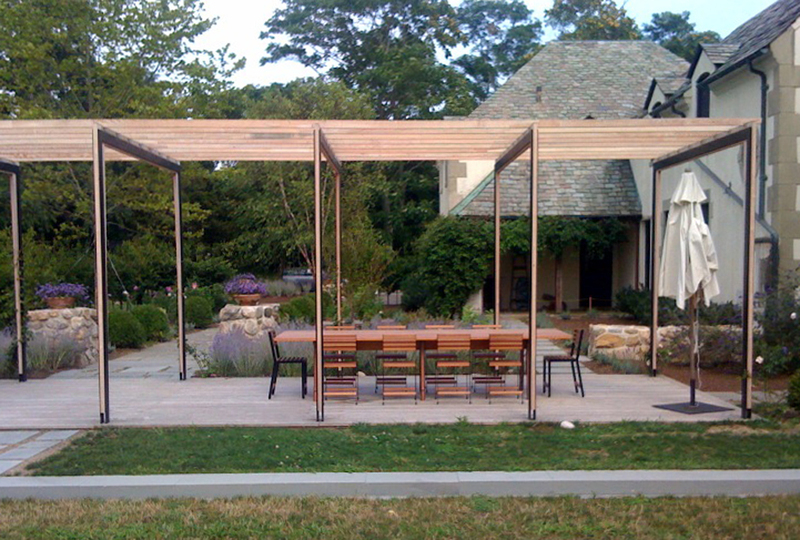 The pergola structure was custom designed in collaboration with a local metal shop and carpenter. 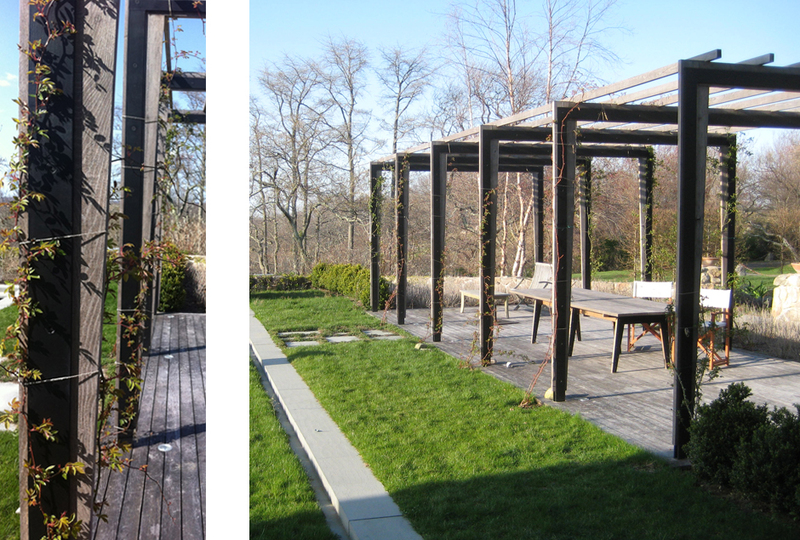 The use of larch wood is an environmentally friendly alternative to exotic hardwoods. 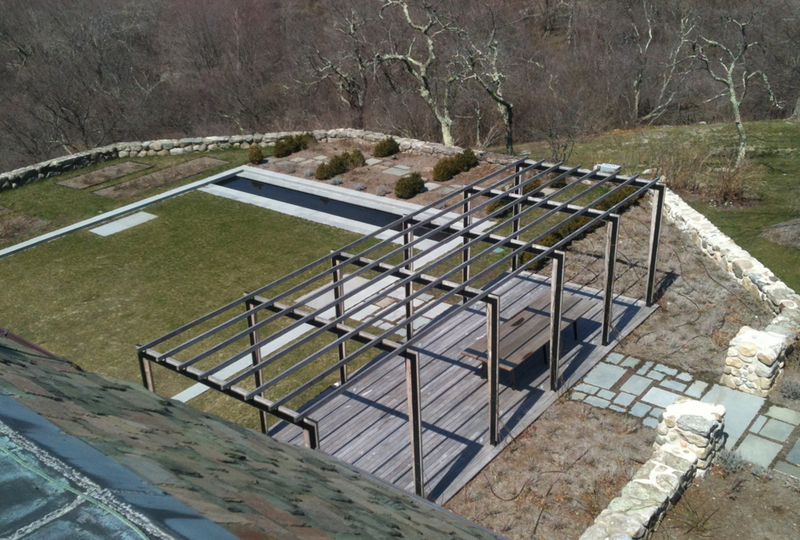 Although not commonly used in the USA, larch is valued for its durable, waterproof, rot resistant properties. Knot-free larch is in great demand for yacht-building and house cladding. 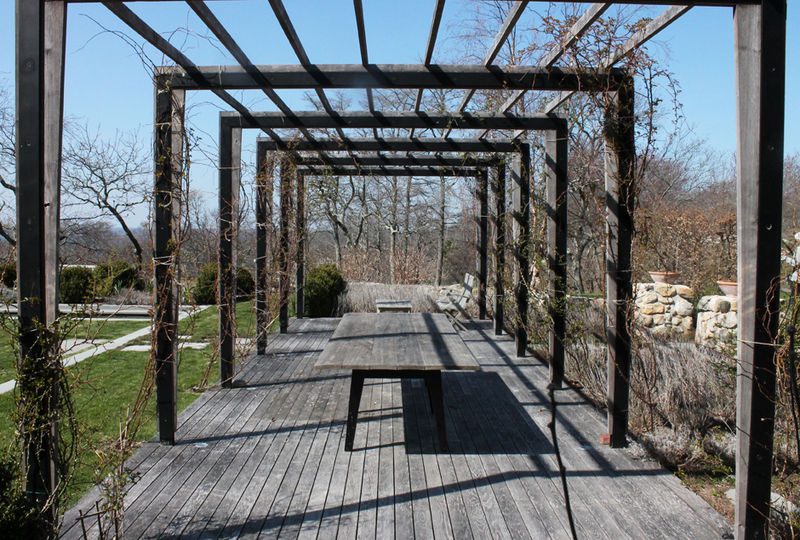 For this pergola, the maintenance free wood will patina over time in the marine environment of Fisher’s Island, NY.